JOB TOON – Brush maker, jockey, horse trainer and publican! Although Job Toon, the central character in this story was not originally from Walsall he did live in the town in his early life and also ended his days there. In the years in between he became a jockey, head lad, assistant trainer, trainer/stud manager and finally, the licensee of the New Inn, John Street, Walsall. How many other Walsall publicans can say they came second in the Irish Derby as a jockey and then won the same race a few years later as a trainer? Thought to be a young Job Toon, an image taken from the German book, Album des Deutschen Rennsport published in 1900. Courtesy of Tim Cox. Job was born in 1851 in Atherstone, Warwickshire to Job and Elizabeth Toon, the sixth of their seven children. In the census of 1851 Job was just 5 months old and the family were living in Woolpack Yard, Atherstone where Job senior made his living as a wood turner. By 1861 the Toon family had moved from Atherstone to 4 Birchill Street Court in Walsall where Job senior was now earning his living as a hame maker in the leather trade. The young Job, now 10 years old had given up on school and was employed as a brush maker at one of the several brush manufacturers in the town. When exactly the next chapter in young Job’s life began is uncertain but it appears he followed his thirteen year old brother, James, who by 1861 was listed in the census as a groom at Thomas Cliff’s stable in Hednesford. Another apprentice in Cliff’s stable at this time was another thirteen year old, the Champion Jockey of 1866, Manchester born Samuel Kenyon, also aged thirteen in 1861. A side view of Prospect House with the stables showing. The building remains to this day and is now converted into flats. Thomas Cliff’s stables were at Prospect House (also known as Providence House), Hednesford and were probably the largest racing stables in the area. Cliff took over around 1860 and knew the premises well as he had been assistant trainer to the previous occupant, Thomas Flintoff since 1854. It was from these stables Flintoff sent out Hednesford’s only Classic winner, Birmingham in 1830 and the 1858 Lincolnshire Handicap winner, Vandermulin, Cliff repeated the victory in the latter race winning with Vigo in 1860. Cliff sent out many winners from his yard and none more so than for James Cockin a wealthy businessman from Staffordshire whose association with Cliff was very successful. The duo were equally successful in Ireland where the Irish Turf authorities changed their rules regarding overseas owners in an effort to stop then winning so much prize money. To overcome this “slight” handicap Cliff and Cockin, or their associates, simply removed themselves from Hednesford to Ireland, along with their runners for the racing season, that way they still won but the money “appeared’ to stay in Ireland. This is were Job Toon comes in. It is thought the young Job came to work for Cliff sometime between 1863 or 1864. It is not known when he had his first ride but his first winner came at the Knutsford meeting in July 1867 at the age of sixteen on an unnamed colt by Gunboat. At the same meeting this victory was quickly followed with his second and third winners and Cliff’s horses won all six races on the card on the first day. In 1869 with the Cliff/ Cockin partnership in full swing the duo saddled up the 4/5 favourite for the Irish Derby, Melody, ridden by Job Toon. Sadly the horse was beaten a head by the eventual winner, The Scout. At the same meeting at the Curragh Toon did ride a winner for Mr. Cockin when Barnabo took the Royal Plate, a race the Cliff/Cockin partnership had won before. The Irish Derby had its origins as far back as 1817 when it was named the O’Darby Stakes but the race did not survive and was discontinued in 1824. When the race, as we know it today, was revived in 1866 the inaugural winner was none other than our famous duo, Cliff and Cockin. The horse was Selim ridden by Charles Maidment a jockey who lived in Cannock for a few years, he was also joint Champion Jockey in 1870 and ’71 and had been the Irish champion in 1866 and ’67. The following year saw success for the trio again when Golden Plover won, again ridden by Maidment. At the third attempt the Irish finally won their own Derby in 1868 with Madeira. In the census of 1871 Job is listed as “jockey” at Cliff’s stables along with three other good young jockeys, Henry Taylor, George Ashworth and William Bissell. His brother James is listed in the same census as a jockey working for the Hednesford trainer Thomas Metcalf. Ten years later James is in the 1881 census as living with his parents at the Village Inn, Windmill Street, Caldmore and is decscribed as an “unemployed jockey”! Although things were going well for Cliff’s stables over the next few years it wasn’t without its tragedy. In 1870 Cliff’s son, also named Thomas, a jockey and assistant to his father, died aged 30. Four years later tragedy struck again when Thomas senior was out walking in Hednesford when he was accidentally struck by a horse and cart and received severe head injuries from which he never fully recovered. With the stables in a state of turmoil due to the accident the job of day to day running of the yard was thrust upon the twenty-three year old Job who it was thought was now Cliffs head lad as well as jockey and probably assistant trainer. The old joke comes to mind…..“stick a brush up my backside and I’ll sweep the yard too”. Reading the above article it would appear that even prior to Cliff’s accident Job was much more involved in the running of the stables than was first thought. In 1875 Job did as a trainer what he didn’t do as a jockey, he trained the winner of the Irish Derby, Innishowen for James Cockin. The horse also won the Manchester Handicap in the same year. It was the complete Hednesford victory as the winner was ridden by Job’s fellow jockey and friend, George Ashworth. The good years were closing fast by now, already Cliff the trainer had retired through ill health and in 1876 James Cockin died. The dynasty that had been so successful over many years finally came to an end and Job now had to run the stables without his most successful patron. In 1881, the year Thomas Cliff died, the census shows Job as head and employing nine boys and nine men at Prospect House. Job was married in 1872 to Rose Hannah Deans and on the census for 1881 there is a groom listed named William Deans who was the brother of Rose Hannah. William is thought to have been head lad at the stables and also had a horse of his own named My Jessie and it is thought the final two rides that Job had was on this horse. Exactly how many winners Job rode is difficult to determine as four of the annual lists of jockeys statistics are missing. Between 1867 and 1881 he definitely rode sixty-seven winners and with the missing statistics it’s probably around a hundred plus. His best years were 1871 and 1873 when he rode fourteen winners. After the death of Thomas Cliff I assumed that Toon continued to train from Cliff’s stables but new information discovered in November 2016 proves that was not the case. A report in The Sporting Times of 24th September 1881 stated, “Job Toon the well-known Hednesford trainer, has left Hednesford and gone to reside at Sutton Coldfield, where he will have the use of the Four Oaks Park racecourse as a training ground. He has secured excellent stabling at Sutton, and would be pleased to take in charge any nobleman or gentlemen’s horses. Toon can ride at 8st 10lb.” Four Oaks Park racecourse opened in March 1881 but as grand as it was the venture lasted just eight years and the course closed in 1889. As far as Toon was concerned his venture at Four Oaks lasted even less, for around two years in fact, and it was after these events I mistakenly thought he took over as licensee of the New Inn having had enough of the racing game. Myself and fellow researcher and co-author Tony Hunt were convinced that after Cliff’s death the stables were sold off and Job then followed into the Toon family profession of publican, several of his brothers ran pubs in the Walsall area and we knew he became the licensee of the New Inn (Pretty Bricks) in John Street at the time of his death in 1896. How wrong we were! The Sheffield & Rotherham Independent for the 3rd of December ran the following article:- “Mr Abingdon has taken the [Providence] house and stabling lately occupied by Job Toon at Hednesford”. Mr Abingdon or Squire Abingdon was the name that the brilliant but extremely unruly amateur jockey, George Alexander Baird was known by. Baird really was the classic case of a young man with more money than sense. He was born into a wealthy Scottish family and when his father died George was nine years old and he became a millionaire. His mother would not, or could not, discipline young George and as he grew up the worse he became. He has been described as “a hell-raiser and a whoremaster, riding hard, betting high, drinking heavily and treating women with much less consideration than he did his horses”. But that’s another story and one well worth reading, anyone interested should get the book “The Squire” by Richard Onslow published by Harrap in 1980. In early March 2016 I was contacted by a German racing historian named Kai Hildebrandt of Neuenhagen near Hoppegarten, Berlin, he had seen my small family tree about the Toon family on Ancestry.com. Kai wanted to exchange information as he is researching the British influence in German racing, which up to WW1, was considerable. He told me that Job, his wife Rose and his four sons, all born in Hednesford did not retire to run a pub’ in Walsall but went to Germany as head lad/trainer/stud manager to Baron von Oppenheim at Hoppegarten near Berlin around 1882/83. Toon is first mentioned in German books in 1884, his daughter Ellen was the first of his children to be born in Germany in August 1883. Another three children followed, Rose, Elizabeth and William who was killed in WW1. Shortly after Ellens birth their son Ernest born in 1879, died aged just five. The births and death as well as school records for the children are registered at Dahlwitz-Hoppegarten. Kai thinks that Job went to Germany as a head lad and tells me the Baron was very particular about who he employed, only the best would do. That in itself is as good as a testament to Job’s abilities as one could get. Obviously he was more than competent at the job and soon became trainer for the Baron and also his stud manager. In the summer months they remained at Hoppegarten but as winter approached the family went to the stud at Fühlingen, Cologne. Although Job remained in Germany for around eleven years or so I do not have much information about his success but Kai did tell me he was responsible for training many winners for the Baron. William Deans, (shown right) Job’s brother-in-law, also arrived in Germany around 1884/85 as head lad, after Job had put in a “good word” I would imagine. In later years Howard Toon took over the position after Deans had moved on. In 1892 Walter, Job’s eldest son obtained a licence to ride in Germany and the following year Herbert, the second eldest, was also granted a licence to ride there. By the time Herbert got his licence to ride in Germany he had been apprenticed to A. B. Sadler back in England for almost five years. William, the youngest of the sons also held a jockey’s licence but he was killed in WW1 and little is known of his riding career. From the four brothers Herbert was probably the best and the most well known, he rode for many years when he came back to England and died in Newmarket in 1957 aged 82. 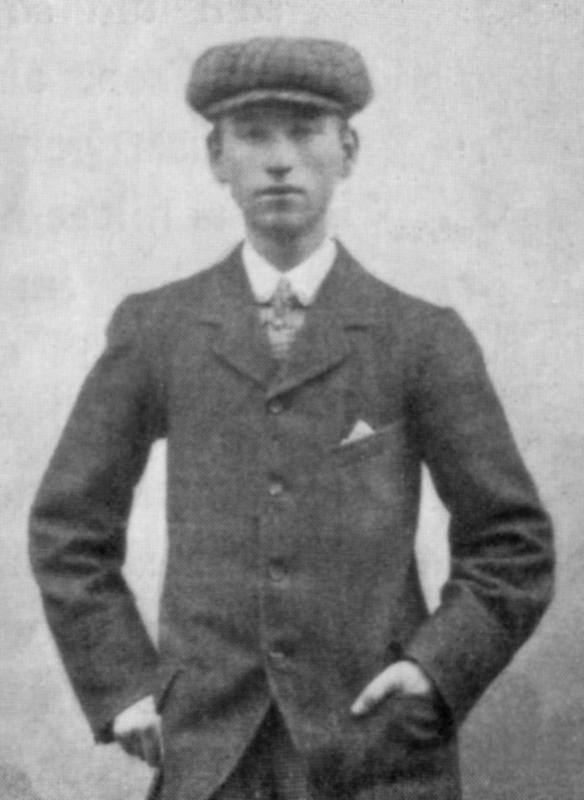 The photograph below shows Herbert in 1895 just as he was ending his apprenticeship. In October 1893 Baron von Oppenheim’s stables caught fire and the unfortunate Toon family lost a great deal of their possessions as well as a large sum of money. Immediately I thought this was the reason the family moved back to England but Kai Hildebrandt thinks this was not the case as it was almost two years before their return. He thinks the reason was that Job wasn’t performing that well and was relieved of his duties. It must have been a bitter pill to swallow as the man that took over from him as the Baron’s trainer was his brother-in-law, William Deans. Deans remained in the position until his death in September 1898 aged 46. 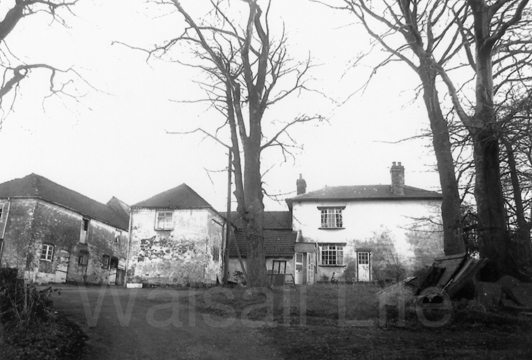 This was the same year that his sister Rose Hannah, Job’s wife died back in Walsall aged 41. Exactly when Job and the rest of the family arrived back in Walsall isn’t known but in the licensing records he is shown as licensee of the New Inns in 1895. Presumably the daughters returned with their parents, Walter and Herbert were already pursuing their horse racing careers elsewhere only Howard remained at home at the time of his father’s death. Job Toon died suddenly on the morning of Sunday 29th March 1896 and his death was reported in many newspaper throughout the country. In the 4th April edition of the Walsall Observer the circumstances of his death were recorded in the article shown below. Job Toon was buried at Ryecroft Cemetery on the 2nd April 1896 in grave number 543 in Division 11 Section 2. Kai Hildebrandt asked me if I could photograph the grave for him and as token of thanks for sharing his wonderful research with me I really wanted to do that. Unfortunately the grave has disappeared, but within the proximity of where it used to be there are several gravestones of other members of the Toon family so at least we know approximately where he lay. Fortunately I could supply Kai with various other pieces of information and photographs regarding the family and hopefully they have been useful to him. After Job’s death Roshannah took over the license and ran the pub’ until her death in early February 1898, she was buried alongside her husband in the reserved plot at Ryecroft on the 8th February. If anyone wants to take images from this post please give a link as to where it came from, that way we all benefit. You are currently reading JOB TOON – Brush maker, jockey, horse trainer and publican! at Walsall Life.